These waterways provide recreational, economic, tourism and aesthetic value. Our parks and gardens also rely on a healthy water cycle. 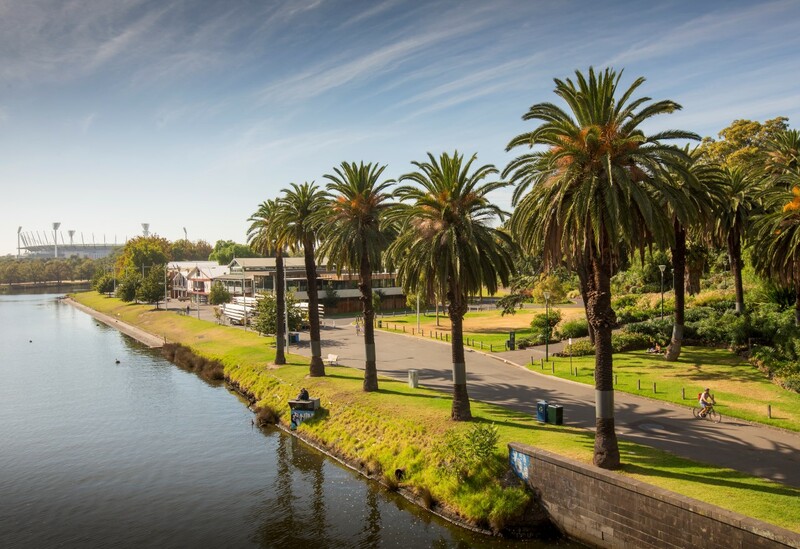 Whole of water cycle management is a priority for the City of Melbourne. Each year, 18,500 million litres of mains water is used in the municipality. This is the equivalent of 7,400 olympic size swimming pools. Of this, 70 per cent is used for commercial purposes, 26 per cent is used in residential homes and four per cent is used by council. 95 per cent of the mains water used in the municipality each year becomes wastewater, or sewerage. Currently, just 1.5 per cent, or 266 million litres of this wastewater is recycled for reuse. Each year, 19,700 million litres of rain falls on the municipality of Melbourne, which would fill 7,880 swimming pools. A little over half of this water is collected on sealed surfaces, such as roofs and roads. Annually, 10,573 million litres of stormwater enters the city’s waterways. If the stormwater is not intercepted by any form of water treatment (such as stormwater harvesting or raingarden systems), it carried pollution and litter out into Port Phillip Bay. We have had a clear vision for sustainable water management since 2002. Our initial focus was water conservation during the drought. We then moved to managing stormwater pollution and reducing irrigation demand. Our current focus is using water efficiently to provide a healthy, safe and liveable city. This includes flood management and adapting to the impacts of climate change by intercepting stormwater before it goes down the drain and using it to keep our city green and cool. Implementing WSUD projects across the city. Increasing community awareness of whole of water cycle management – including through the Urban Water website. Collaborating with other councils and water industry stakeholders on regional issues and to share learnings. Each year, 19,700 million litres of rain falls on the municipality of Melbourne, enough to fill 7,880 swimming pools.